Tennis Memphis Junior Ella DeJesus teaching the contact point for a two handed backhand ground stroke. assisting a student with her grip and unit turn. Tennis Memphis Junior Jerry Willis teaching the unit turn. Tennis Memphis Executive Director Stephen Lang teaching the two-handed backhand ground stroke. 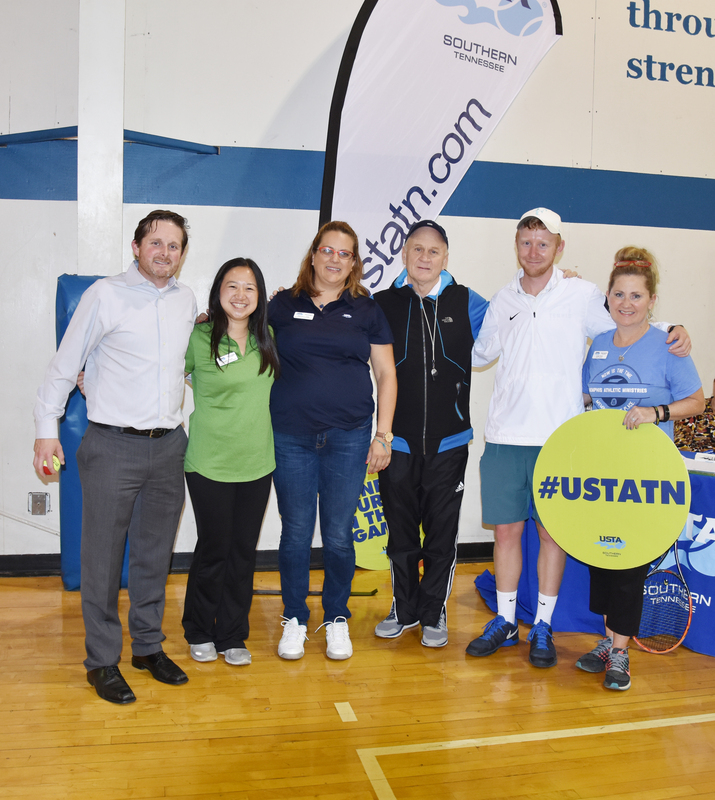 Tennis Memphis Teaching Professional, Kevin Duffy, USTA TN LCC and LLC, Laura Huss. 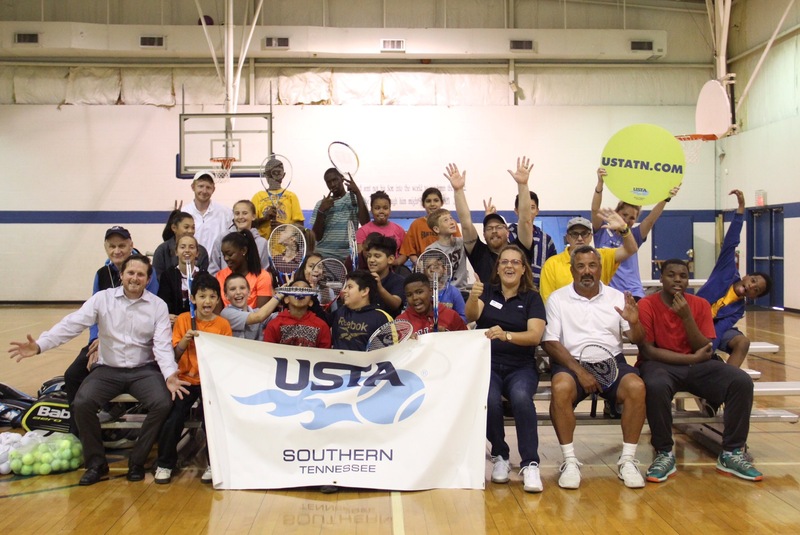 Tennis Memphis recently partnered with USTA TN, the Memphis Tennis Association, and Memphis Urban Ministries to help provide tennis instruction during a USTA Play Day held at Memphis Athletic Ministries. 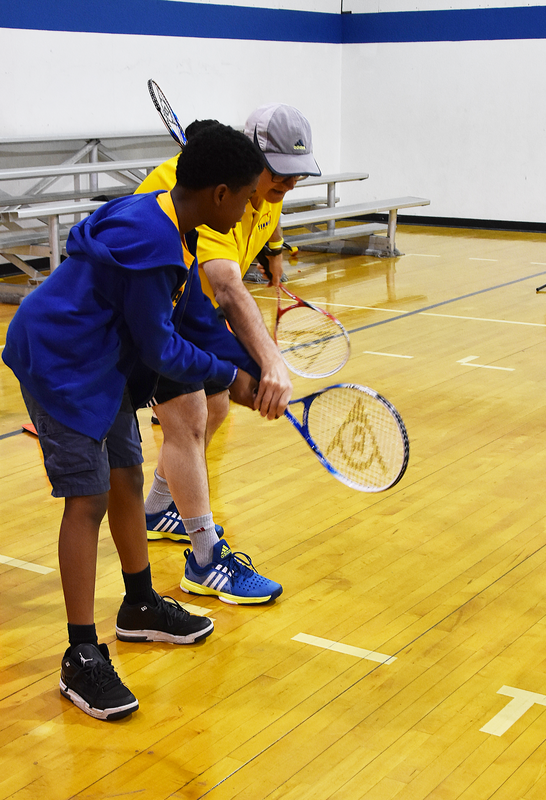 The Play Day was held as part of the Tenis para Todos initiative, which seeks to provide more opportunities for Spanish-speaking families and students to become involved in the sport of tennis. 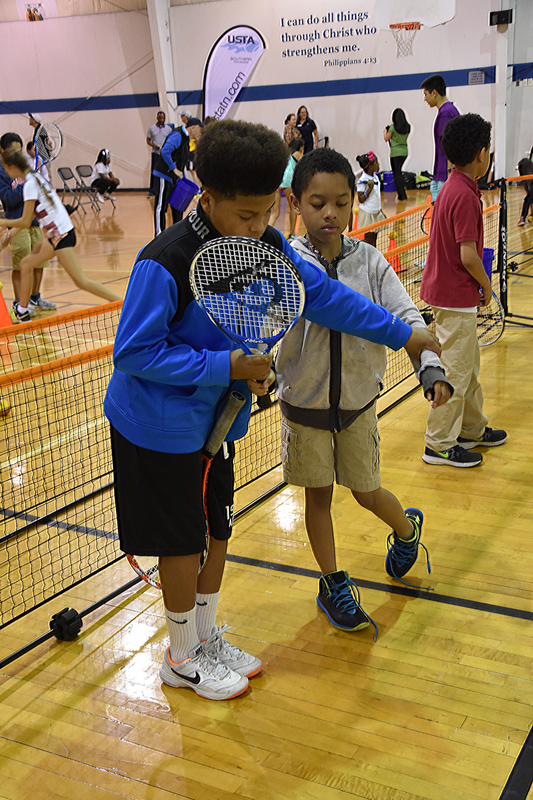 40 students whom had never had the opportunity to play tennis before attended the Play Day in two, one hour sessions. 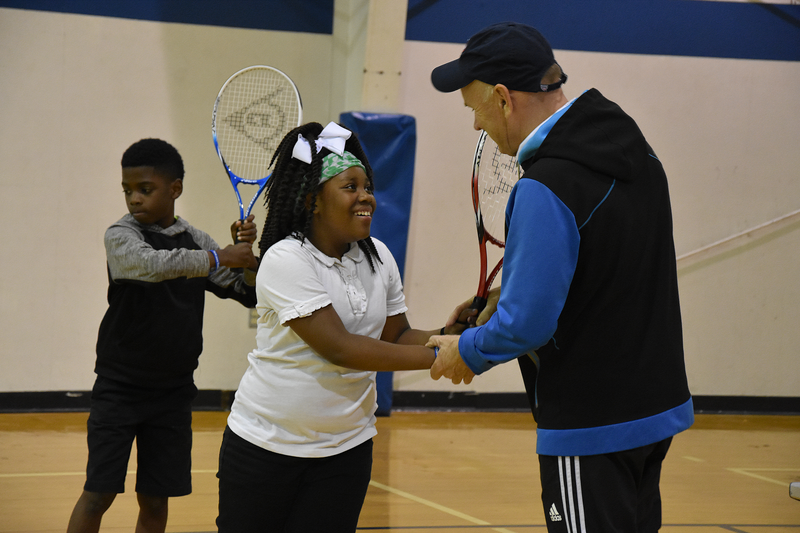 Each session was led by Tennis Memphis’s Consulting Director of Player Development and Tennis Education, Steve Smith, Tennis Memphis’s Executive Director, Stephen Lang, Ronnie Bran of St. George’s Independent School, and students from the Tennis Memphis Junior Development program. 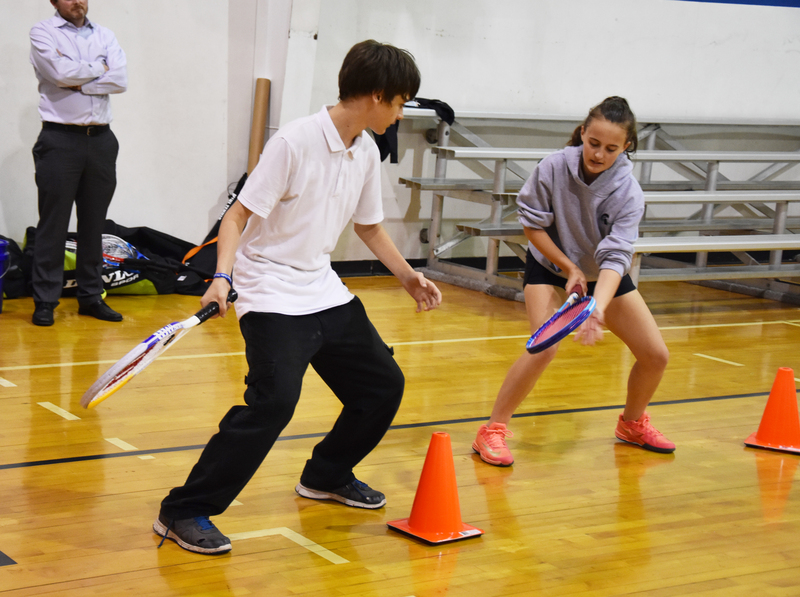 The MAM students were introduced to tennis fundamentals, fun drills, and footwork games. 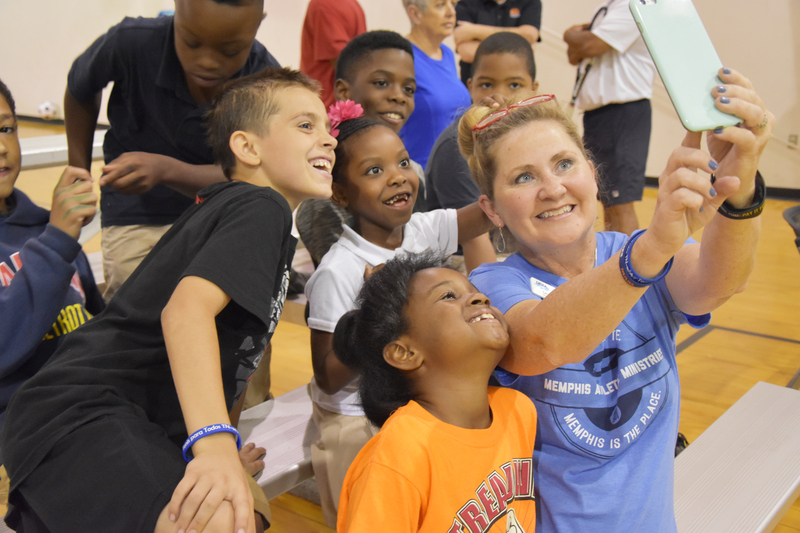 In addition, students were invited to attend Tennis Memphis’s NJTL Tennis Summer Camps, which are available to the participants at no cost. We need your support to continue to reach under served communities in Memphis. To make a donation, click here.  If you would like to volunteer, please contact Kent Smith, Tennis Memphis Outreach Coordinator at (901) 237-5677, or ksmith@tennismemphis.org. 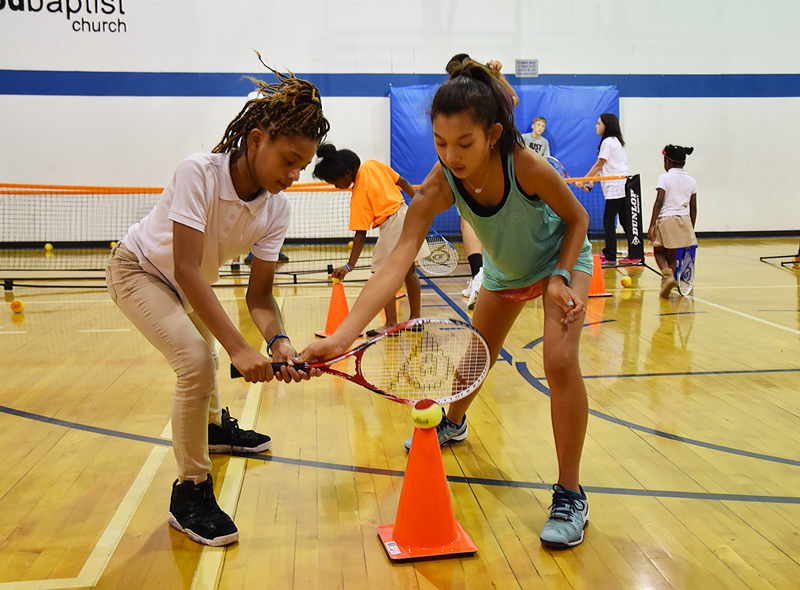 Public tennis plays an important role in the ability of tennis players to have the resources they need to achieve their dreams. 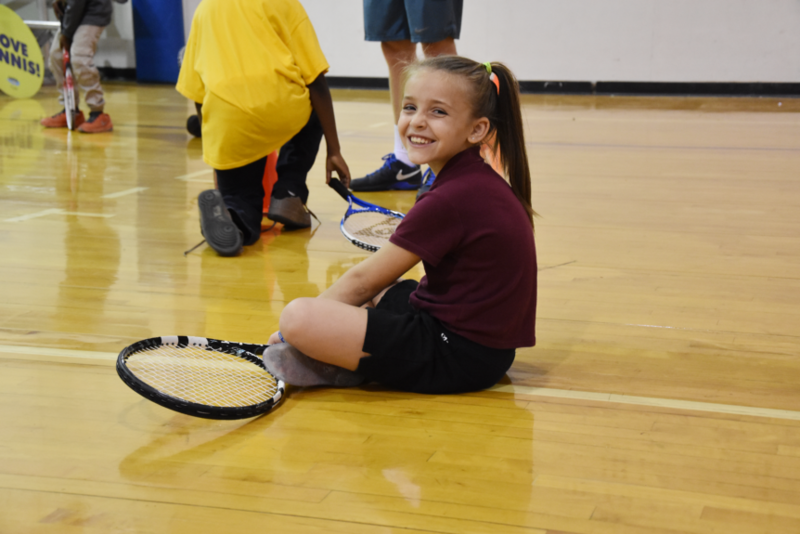 According the the New York Times, “the Lawn Tennis Association of Britain has estimated that the cost of developing a player from age 5 to 19 is more than $300,000.” Many families simply do not have access to these resources. Ernesto Escobedo is an up and coming young tennis player whose family has roots in Mexico and a passion for tennis. 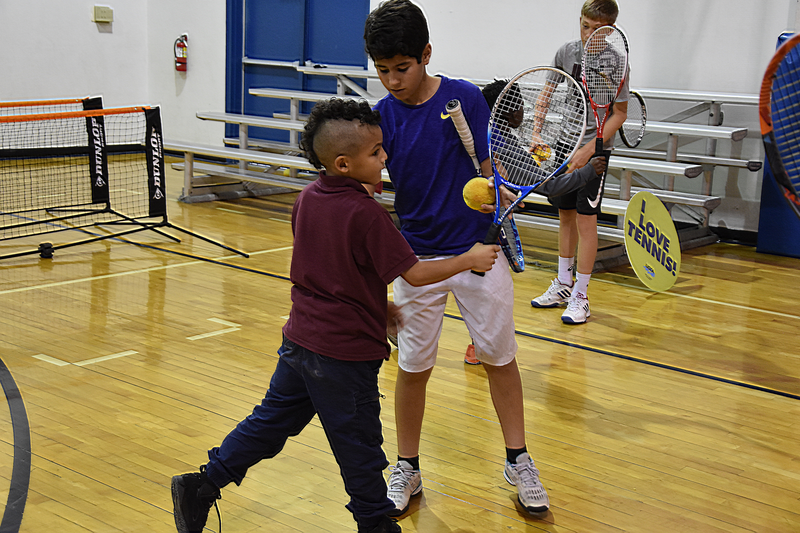 Instead of taking a more traditional route to success by moving to one of the tennis academies in Florida, Escobedo lives at home and grew up practicing on the Los Angeles public tennis courts with his father. 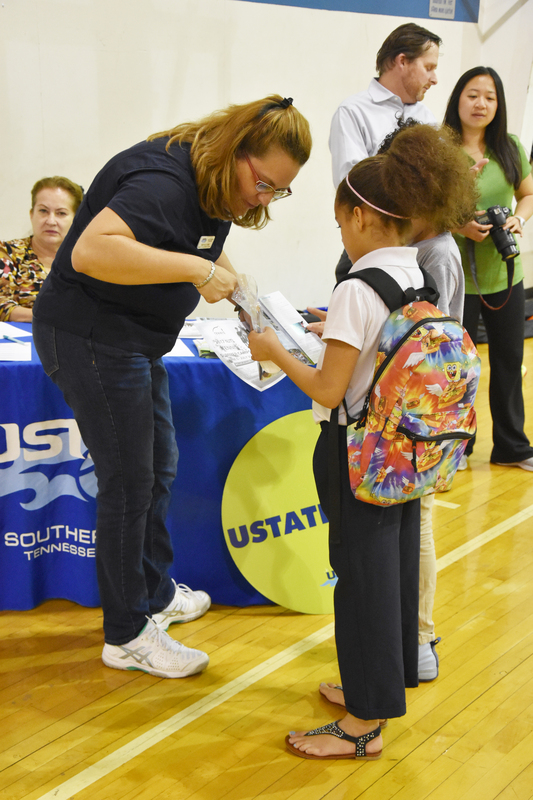 With a budget of just $5000 per year to dedicate towards tennis, the Escobedo family depended on public tennis courts and the support of the USTA to help offset tournament travel costs, etc. to enable Ernesto to compete at such a high level. Currently, he is ranked 78 in the world. To read more about Ernesto’s story in the New York Times, click here. Click to watch a brief video with Gigi Fernandez about her support of the Tenis para Todos initiative.